Gossip Slots features cutting edge casino games, generous promotions, and a great new innovation that no other casino offers: Player to Player chat rooms. Gossip Slots players interact with one another in one of their three chat rooms and receive exclusive hourly offers from Gossip Chat Hosts. Gossip’s mobile casino features a great lineup of 3D Video slots for iPhone, iPad, Android devices, and select titles on Windows Phone! The desktop casino can be enjoyed on Windows and Apple computers and to top it all off, Gossip Slots is a U.S. Friendly casino that offers a wide variety of safe and secure payment options. Gossip’s Online Casino Games lobby is clean, easy to navigate, and organizes their substantial game lineup into easy to find categories. Each month they highlight a Casino Game of the Month where players can earn double rewards points in their Vegas-style comp program. Simply click on one of their elegantly designed casino game icons to enter the game window which features your GS Level, available bonus, and their unique and exclusive chat window. 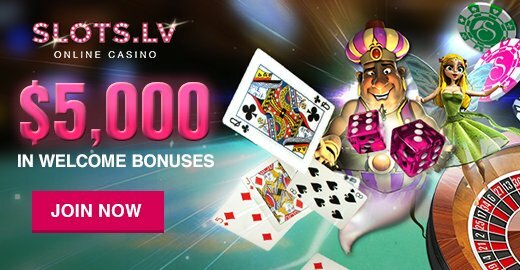 Upon completing the easy to use sign up form, you’ll automatically qualify for 25 Free Spins on their featured Rewards Game of the Month along with instant enrollment in the VIP Rewards Plan – the legendary Vegas style comp program that allows you to earn points for your play which you can redeem for merchandise, sweepstakes, and cold hard cash. New and existing customers enjoy lucrative bonuses and fun promotions at Gossip Slots. Sign up for your instant 25 Free Spins, then make your first deposit for a 400% Welcome Bonus up to $1,000. Any winnings earned from your 25 Free Spins will be redeemed and added to your bankroll you’re your first deposit. Once you’ve finished your welcome bonus, you’ll start off earning a 10% reload bonus on every deposit. The GS Club, Gossip’s bonus loyalty program for depositing players, offers between 10% and 35% reload bonuses depending on your lifetime play. The Gossip Chat Rooms are managed by Gossip Chat Hosts who offer up exclusive promotions to different chat rooms on an hourly basis every day. These promotions are reserved for those players who participate in the Gossip Chat Rooms, so gossiping can pay big dividends! Gossip Slots’ weekly bonuses are unrivaled; Mondays players earn 75% on their first deposit, Wednesdays 50%, and every Friday all players receive a 100% bonus on all deposits, all day long. Gossip Slots players also earn Rewards Points at VIP Rewards Plan that can be redeemed instantly into your account for merchandise, sweepstakes entries, and cash. Qualifying Gossip Slots Members receive a 10% Rebate on their losses from the previous week every Monday and every Wednesday players enjoy 10% of their mobile losses incurred the previous Tuesday. Gossip Slots rewards players that gossip about Gossip. Members who like or follow the Gossip Slots Facebook or Twitter pages earn a 5,000 Reward point bonus and each week Gossip gives out over 500,000 rewards points in various contests that are as fun as they are lucrative. Gossip’s lineup of 3D Video Slots and Mobile games are powered by BetSoft Gaming and their award winning selection of cutting edge games. BetSoft games help Gossip stand apart with their awesome graphics, cinematic sequences, and revolutionary gameplay. They really are a something that must be experienced to be believed. Gossip Slots also has a series of exclusive titles that make up a 24 game live Progressive Jackpot called the Cash Grab Progressive. These games pay out quickly and often and have become a favorite of Gossip Members for their fun and eclectic style. Gossip agents form the same team that supports Drake Casino and together they combine for decades of experience serving Platinum players, so they know exactly how you expect to be treated. Their courteous and professional support agents are on hand to assist 7 days a week from 9AM EST to 12AM EST. Their payouts are fast and options include bank wire, cash methods, and now checks. Contact the Gossip Slots live support line by calling toll free 1-800-898-3520. Gossip reimburses Cash fees for a minimum transfer of $300. 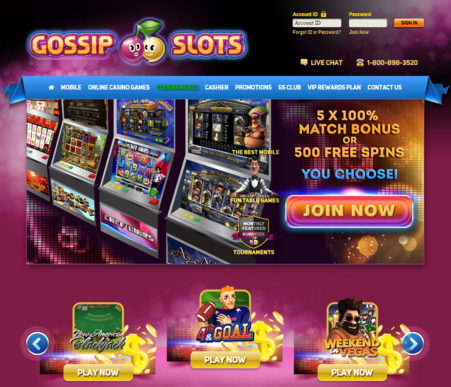 Gossip is a shiny new brand with a cool new look but it’s operated by a group that combines for decades of experiences in the online casino space. Like their sister site Drake, they’ve honored millions in payments to customers and to this day have maintained a commitment to integrity and fairness when it comes to dispute resolution and treating players with the highest amount of dignity. Gossip Slots is a haven for players who enjoy quality slots entertainment and are looking for something new and fun. With a 400% up to $1,000 welcome bonus, customers enjoy player to player chat, great new games on a monthly basis, and a great lineup of games for your mobile device. Existing customers enjoy a selection of 165+ casino games that include cutting edge 3D Slots and Table Games, Mobile Casino for Android, Apple mobile device, and Windows Phone along with great features like Weekly Bonuses, Cash Grab Progressives, and Weekly Rebates. Sign up today and Gossip with your friends.